Guten Co. is a design workshop that produces simple products that work and last. Every porcelain and press printed product is formed, printed and finished by hand in our San Antonio, TX studio. 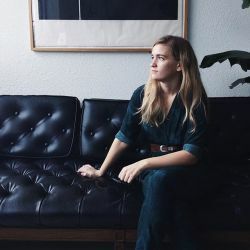 Sarah Sauer, owner and maker behind Guten Co. goods, learned from a range of craftsmen, giving her a high regard for expertise in different creative mediums. She spends her days carefully designing and producing usable goods, firmly believing in their influence on the user's quality of living.